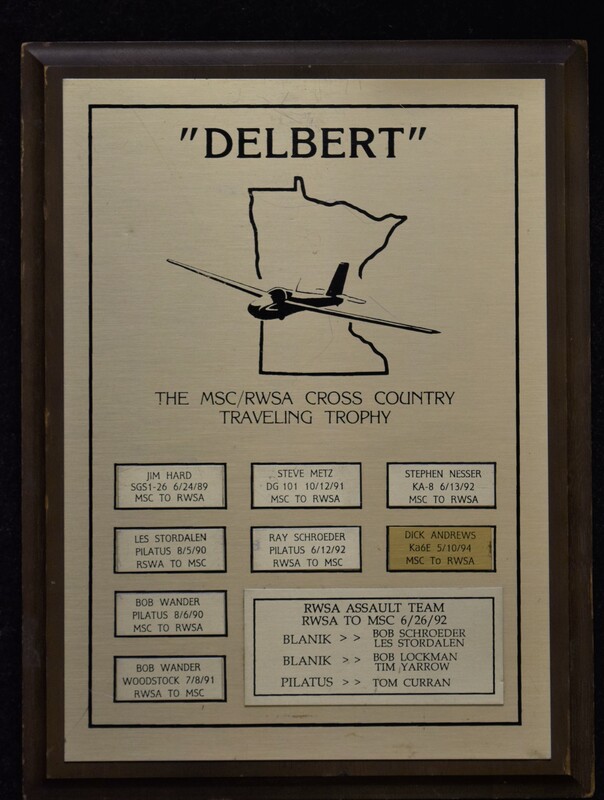 The Delbert Trophy is a traveling trophy which can be claimed by flying a glider between Stanton Airport (home of the Minnesota Soaring Club) and Osceola Airport (home of the Red Wing Soaring Association). 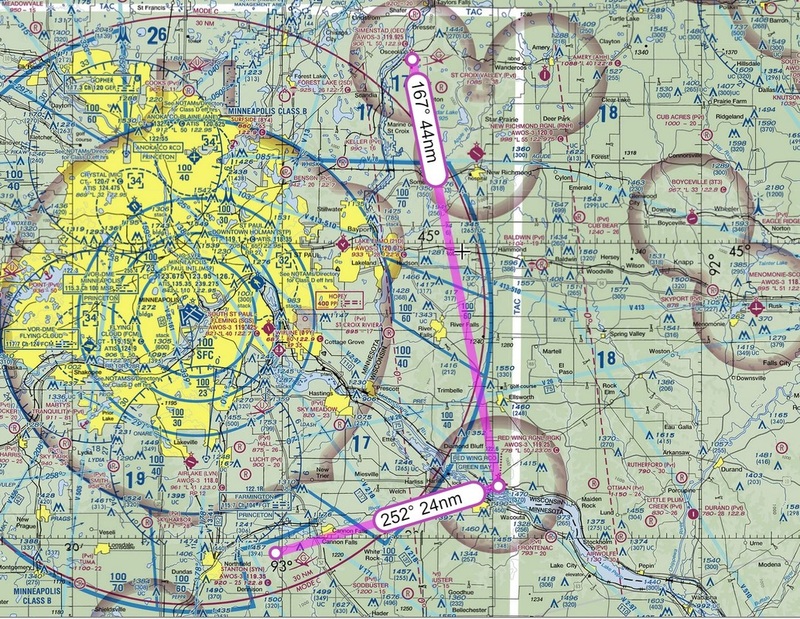 The flight would be about 59.8 miles if you could fly directly between the airports, but you must fly around the controlled airspace surrounding the Minneapolis airport, so the actual distance flown is more like 75 miles. 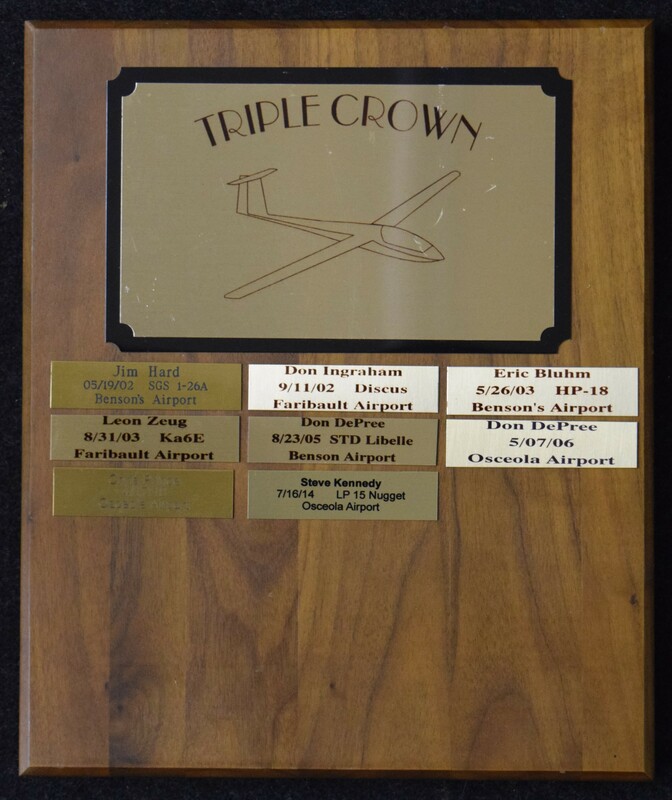 After members of a club make the flight to claim the trophy, members of the other club know that they have been challenged to come and claim the trophy back. 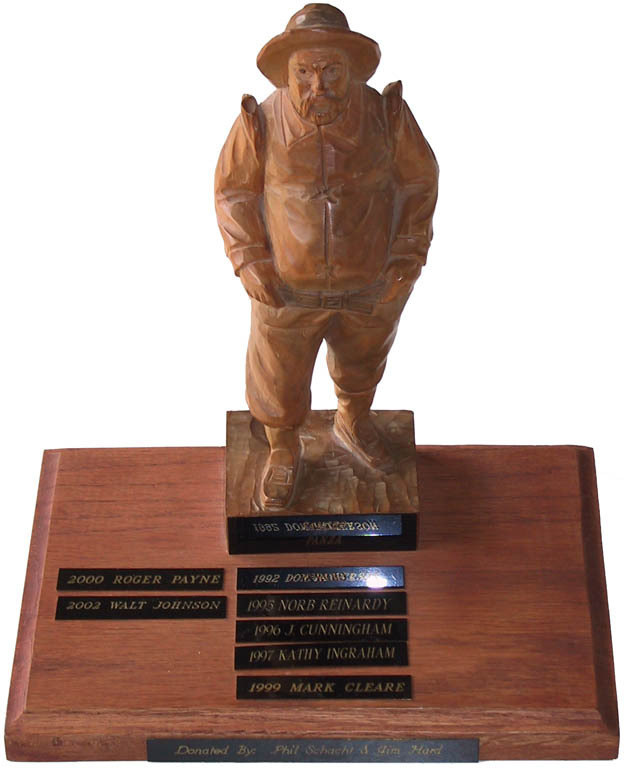 The trophy is to be awarded annually to the glider crew who makes the greatest effort or most significant sacrifices to perform retrieve services for glider pilots. 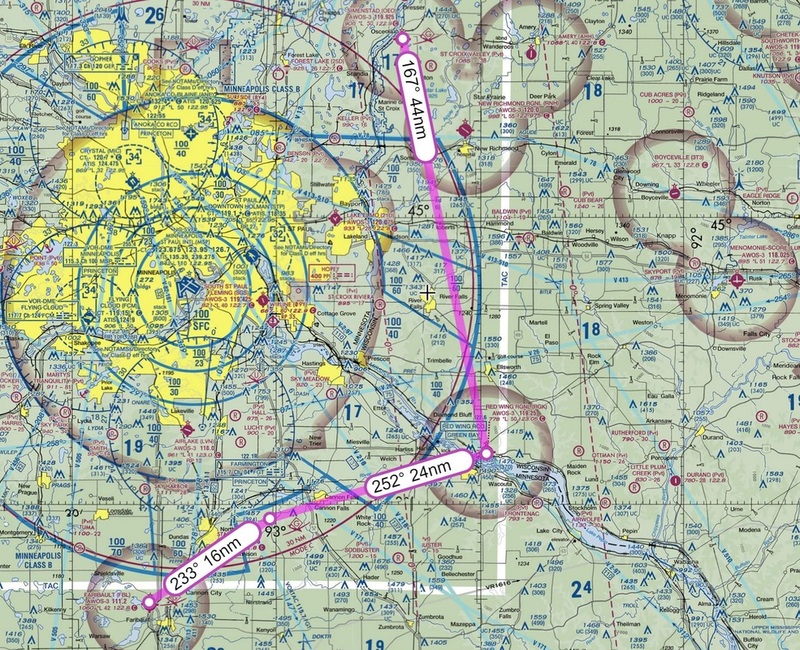 The purpose therefore is to recognize the unsung heroes of cross-country flights, the retrieve crews, who are essential for successful cross-country glider flights. Generally, the award is made for some unusual effort such as an extremely long overnight retrieve, or a muddy field situation requiring great effort, or a number of retrieves for an individual pilot or for different pilots, and other situations requiring significant effort. 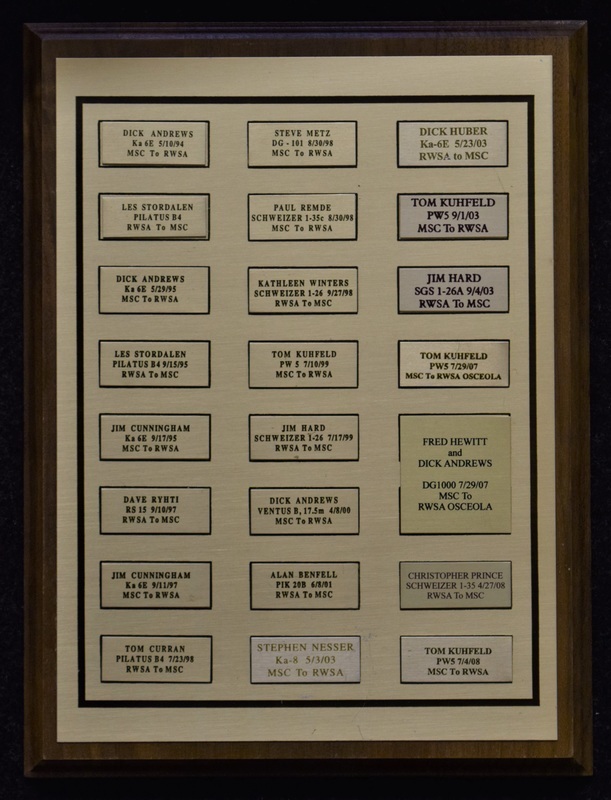 The Minnesota Association of Soaring Clubs Agricultural Ambassador Award is given annually for distinguished contributions to the practice of off-field landings. 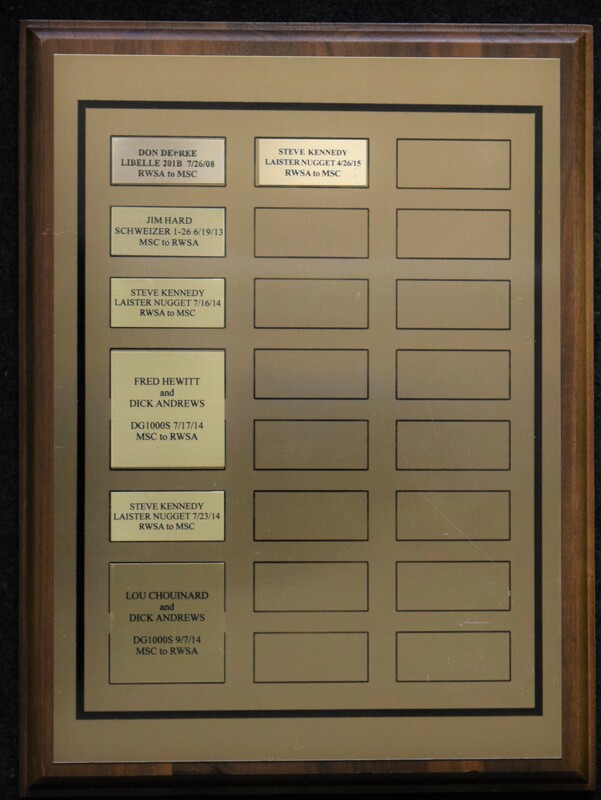 This award can go to any member of a Minnesota Soaring Club (including RWSA).